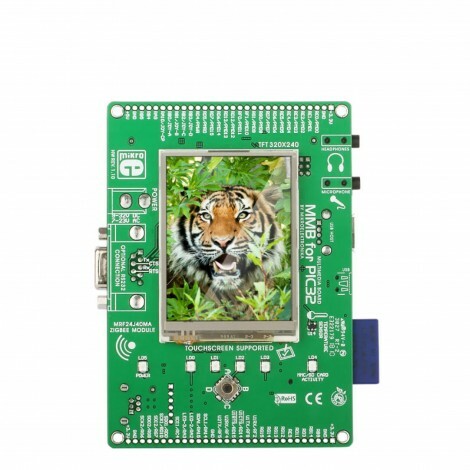 The PIC32MX4 MultiMedia Board is a compact development system for multimedia applications. The board is compatible with the latest PIC32MX4 series. This tool provides a development platform featuring PIC32MX4 devices.